There are many things that the next generation of geek won’t get to experience. The sound of the 56k modem connecting when your parents are sleeping in the next room. Being somewhere and not knowing something, and just having to deal with it because you don’t have a space computer with pretty much all of humanity’s collective knowledge in your pocket. The latest pillar of yesteryear to come crumbling down? Clip art. 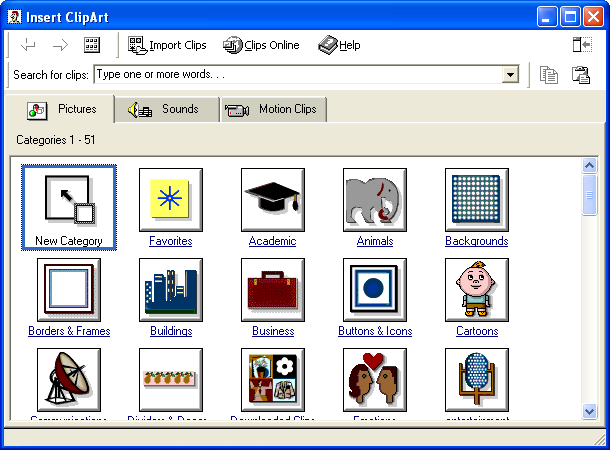 Microsoft has just announced that it’s killing off the last trace of clip art in its Office products, instead pointing users in need of imagery toward Bing Image Search. Why? Because most people are just getting their images online anyway. Bing images won’t be vector art (and thus not as resizable), and they probably won’t be as gloriously ’90s, but you’ll at least have a whole lot more options. The Bing Image Search built into Office is essentially the same one that’s built into its standard search engine, just with Creative Commons filters switched on by default to allow for commercial use.